Event Description Do you have question regarding technology? 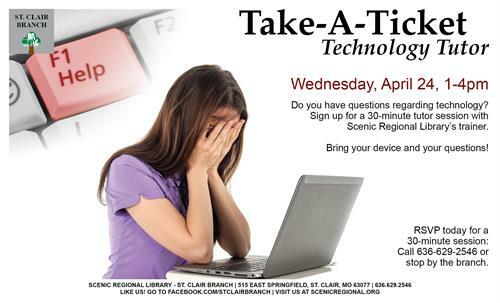 Sign up for a 30-minute tutor session with Scenic Regional Library's trainer. Bring your device and your questions! RSVP today for a 30-minute session: Call 636.629.2546 or stop by the branch.